If you chose C, then you’ve correctly navigated everyone’s favorite SAT-style challenge. While the other three are significant gatherings of large volumes of people in close proximity, the annual mass gathering triggered by the Super Bowl is as close to a pilgrimage as we have in America. It is estimated that more than 1 million people flocked to Glendale, Arizona this year for the Super Bowl, most without even having tickets to the game. They spent a week in close proximity at numerous events, culminating with the largest annual sporting event in the country, and then, returned to their homes all across the nation. Measles is one of the most infectious respiratory diseases known to man, and the infection is contagious for several days prior to the onset of symptoms. While local political and public health officials requested that those potentially experiencing symptoms of measles—sore throat, fever, runny nose, cough and/or the telltale rash—avoid attending the Super Bowl, infected people not yet showing signs of the disease may have been capable of transmitting it to those who had not been vaccinated or were not immune to the virus. As a result of the ongoing measles epidemic, approximately 1,000 people were being monitored for measles across Arizona, including in Glendale, at the time of the Super Bowl. Similar concerns about infectious disease epidemics have been raised at other massive sporting events, such as dengue fever at the World Cup in Brazil, demonstrating that sporting events and mass gatherings of all kinds have the potential to spread infectious disease, respiratory or otherwise. Measles, specifically, has been associated in the past with mass gatherings. In 2010, 13 primary cases of measles in Germany were found in unvaccinated pilgrims returning from travel to Taizé, France, ultimately resulting in an outbreak of 37 total cases. Considering that disease prevention efforts conducted by Saudi health officials appear to be largely successful at preventing major outbreaks, one has to wonder if some of these measures should be considered for similar, albeit smaller, events in the United States. The CDC does publish recommendations regarding mass gatherings; however, they are primarily geared toward influenza or traveler information for international gatherings. And while mass gatherings in the United States can garner enhanced disease surveillance, these systems are designed to rapidly identify incidents that have already happened rather than prevent them from occurring in the first place. The 2014-15 measles epidemic in America—now at least 154 cases in 17 states and Washington, DC as well as accounting for additional cases in Canada and Mexico—has helped illustrate the global nature of health and health security and the importance of preventive interventions such as immunizations. Will the NFL and other event organizers take a cue from the Saudis and actively promote preventive measures? Will future Super Bowl gift bags contain N95 respirators and antibiotics? Will skyrocketing ticket prices include the cost of mandatory vaccinations? Or will measles join mumps on the list of communicable diseases spread by professional sports? It has been nearly a month since the Super Bowl crowds dispersed back across the country, and the three-week incubation period for measles has passed without incident. Hopefully local public health awareness and surveillance efforts continue to prevent mass gathering outbreaks so measles won’t be able to challenge the Patriots for the Super Bowl 50 title. [i] Memish ZA, Zumla A, Alhakeem RF, et al. Hajj: Infectious Disease Surveillance and Control. Lancet. 2014 Jun 14;383(9934):2073-82. [ii] Al-Tawfiq JA, Memish ZA. 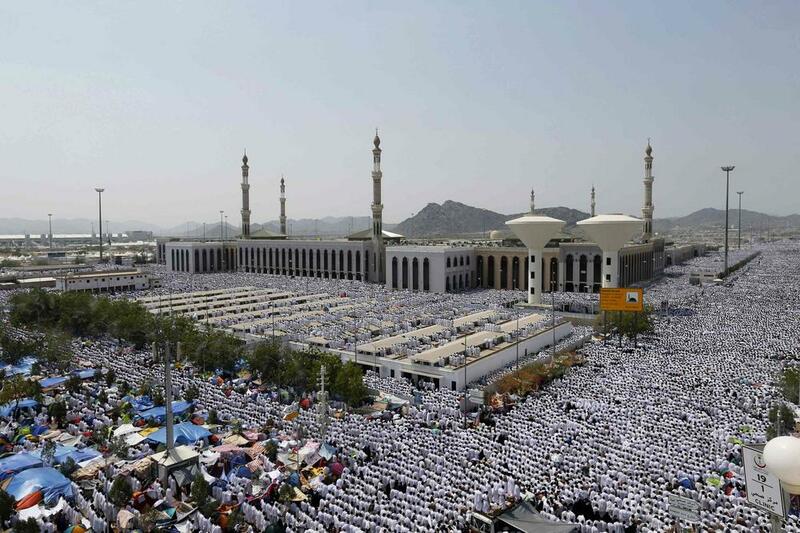 Mass gathering medicine: 2014 Hajj and Umra preparation as a leading example. Int J Infect Dis. 2014 Oct;27:26-31. [iii] Respiratory Tract Infections During the Annual Hajj: Potential Risks and Mitigation Strategies. Curr Opin Pulm Med. 2013 May;19(3):192-7.